The Victim/Witness Services of South Philadelphia, Inc. (V/WSSP) will honor the Network of Neighbors Responding to Violence at their Annual Spring Fundraiser & Award Ceremony. The event will take place at 6 p.m. to 9:00 p.m. tonight at the Fleisher Art Memorial, 719 Catharine Street. V/WSSP offers direct assistance and support to crime victims, witnesses and their families in the three Police Districts of South Philadelphia (1st, 3rd, and 17th Districts). V/WSSP has provided outreach and services to over 65,000 community members since they were founded in 1989. Alison Sprague, V/WSSP Executive Director, said “Violence has a long lasting impact not only on the person directly harmed, but also on their family members and communities. V/WSSP works to provide a safe and responsive place to meet victims’ needs.” V/WSSP also has an Immigrant Victim Access Collaborative with staff that speak Spanish, Vietnamese, Thai, Cantonese and French. 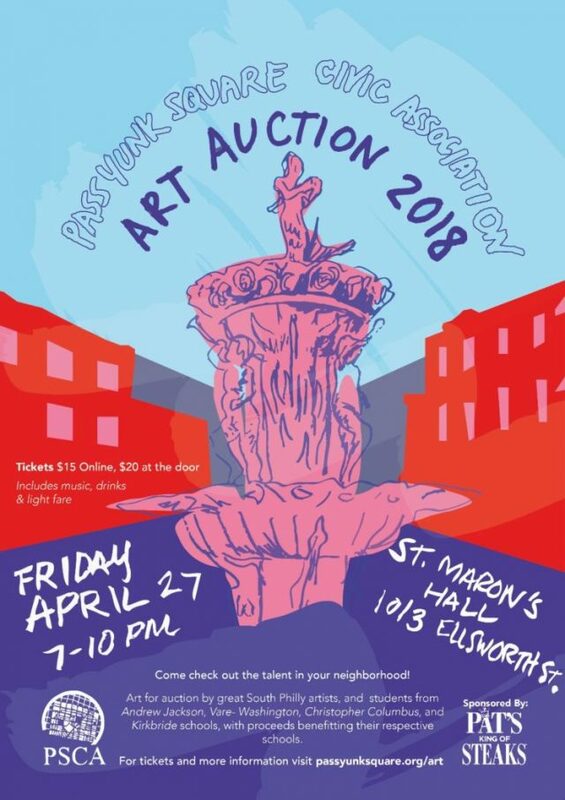 The Passyunk Square Civic Association (PSCA) will hold its 7th annual Art Auction from 7 p.m. to 10 p.m. tonight at Saint Maron’s Maronite Catholic Church, 10th and Ellsworth Street. You’ll receive a discount if you purchase tickets in advance here before noon today. Guinn and Rose both live in the neighborhood and participated in past auctions after seeing PSCA’s annual call for artists. Rose, who co-chairs the event with Sanaz Hojreh, described an epiphany she and David had at last years’ auction, “We noticed that some artists who we knew lived in the area were missing from the event.” After speaking with PSCA, “we began reaching out to artists down the street, in the neighborhood, and nearby. 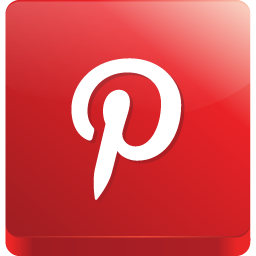 Some didn’t know about the auction but were happy to be part of it,” said Rose. The event benefits PSCA’s on-going efforts and local elementary schools. Artwork by students from the Andrew Jackson, Christopher Columbus Charter, Kirkbride, & Vare-Washington Schools will be for sale. The proceeds from sales of this art will directly benefit the schools. Complimentary snacks and drinks will be included and music provided. In addition to the auction, there will be artwork for sale and raffles for local store and restaurant gift certificates and other items. If you’re an artist in the area and would like to be part of next year’s show, contact pscaartauction@gmail.com. Philadelphia has one of the oldest water systems in the country. Some of the oldest parts of the system lie buried beneath the streets of South Philly. To help expedite the replacement of these aging water and sewer mains, the Philadelphia Water Department (PWD) is seeking a rate increase. A public meeting scheduled to take place in Pennsport will afford customers a chance to speak out about the increase. Excerpt from PWD’s Rate Facts Sheet (link below). As part of their transparent rate-setting process, PWD is holding a series of “Public Input Hearings” across the city. One upcoming meeting will be held in South Philadelphia on Wednesday, May 2 from 6:30 p.m. to 8:30 p.m. The meeting takes place at the EOM Athletic Association, 144 Moore Street, in Pennsport. These hearings are held with the Water Rate Board, an independent five-member board created by voters to oversee rate changes. For new rates to be set, the department must show the board that the increase is justified. 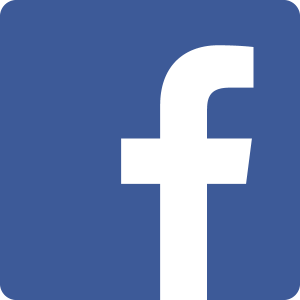 Any testimony made by residents at hearings will become part of the public record. A list other hearing dates and locations is available here. Customers can view a detailed breakdown of how rates could change and what they fund here. 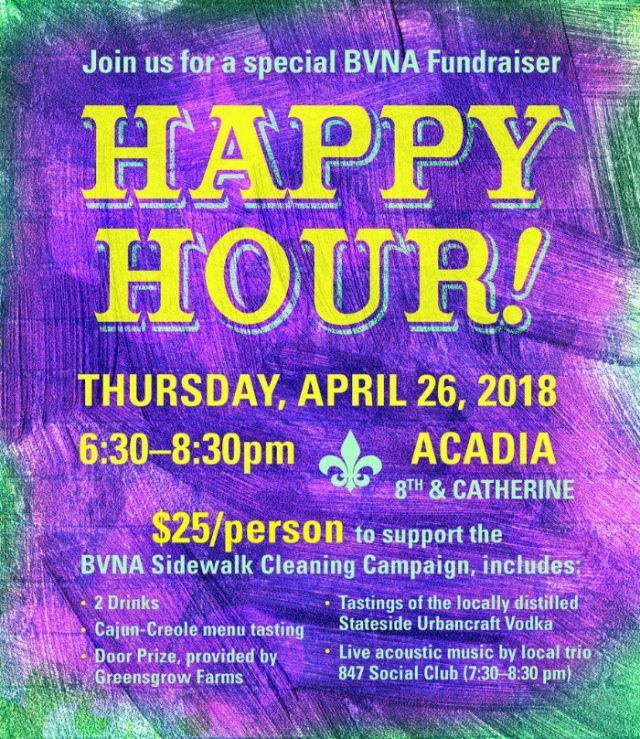 Bella Vista Neighbors Association (BVNA) will host a happy hour at Acadia, 8th & Catharine Streets, from 6:30 to 8:30 p.m. tonight. The event supports BVNA’s new curb and sidewalk cleaning initiative, which kicked off earlier this month. BVNA launched a youcaring site, and are close to their goal of raising $25,000 for 2018. “When the fundraising reached 2/3 of the goal, we made the decision to kick off the cleaning program in April, with the hope of being fully funded for the year through additional fundraisers,” Desyatnik said. Purchase advance tickets here, or at the door. Junior’s Beef & Pork set for grand opening on April 29. 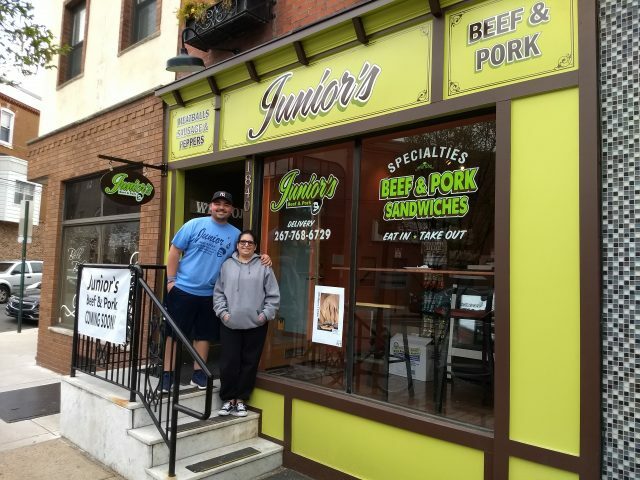 Stepping into Junior’s Beef & Pork, 1840 E Passyunk Ave, something feels different. On an Avenue revitalized with swanky eateries run by top-tier chefs, Stephanie and Gino DeJesse, and their son Gino, are keeping a foot in Passyunk Avenue’s Italian past. Gino DeJesse and his mother Stephanie DeJesse outside their East Passyunk Avenue shop which opens Friday. The ingredients are remarkably fresh, with daily deliveries from Liscio’s bakery and pork from Esposito’s. “We want to attract a crowd of both old and new people on the Avenue,” says Stephanie. The classic South Philly menu includes roast beef and pork, meatballs, sausage, long hots and sharp provolone, but also newer vegetarian options – salads, and an eggplant sandwich with roasted peppers, rabe and sharp provolone. The shop will open on Friday, April 27 and hold its grand opening on Sunday, April 29. Foodies take note! Stories that may make you drool will be flowing at a benefit for the South Philly Food Co-op tonight. That’s when award-winning storyteller Hillary Rea brings her live storytelling show to the Adobe Cafe, 1919 E. Passyunk Ave. 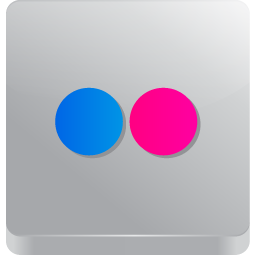 The event will feature a colorful line-up of storytellers sharing true stories inspired by the evening’s At the Table theme. Alison Fritz, Operations Committee chair for the Co-op, said the idea for the event came from Rea. “She is a member-owner and near neighbor of the Co-op. She recognizes that it takes the power of our membership to get our store open. 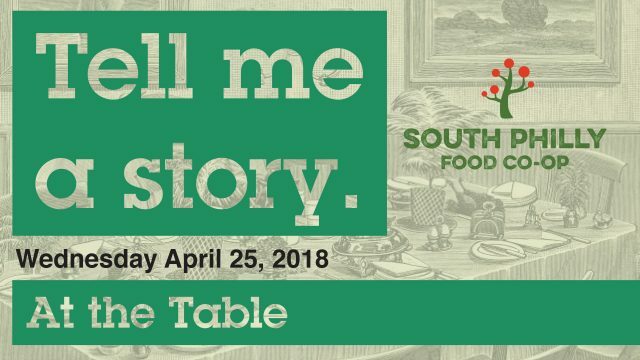 She was looking for a way to use her storytelling skills and connections to benefit our capital campaign.” To tie-in with the Co-op’s own story, Rea proposed a special, food-focused edition of her bi-monthly, Tell Me A Story event.